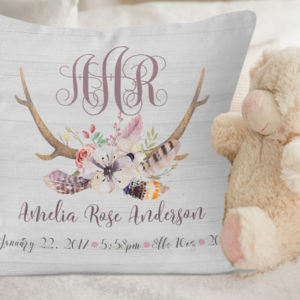 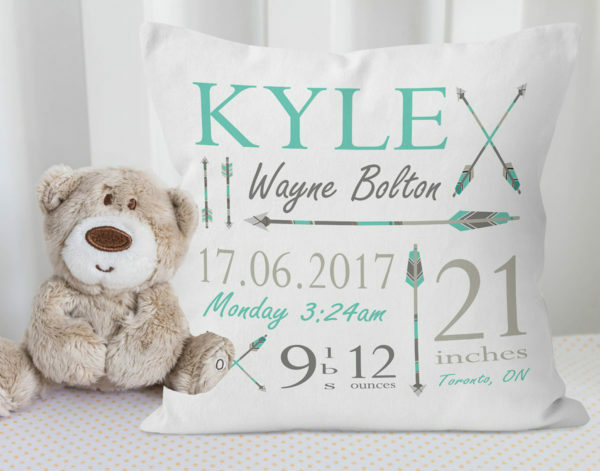 So cute and vibrant, our Aztec birth announcement pillow is a favorite among new parents and makes the perfect baby shower gift. 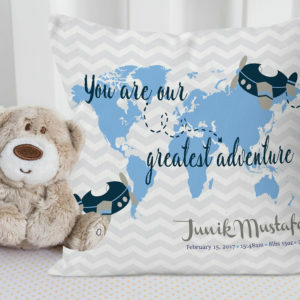 It is sure to become one of your favorite accessories in your little one’s nursery. 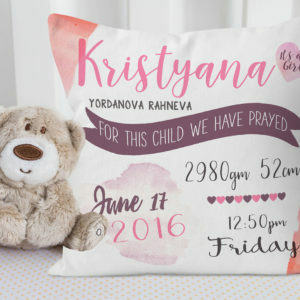 We’ve combined the classic baby shower gift of baby bedding with the relatively new concept of birth statistic announcements into one darling Aztec birth Announcement pillow.